COBRAGuard can help! 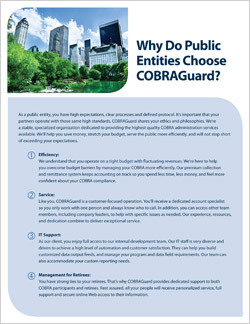 As public entity COBRA administration specialists, we understand the budget and resource challenges you face. Complete the form to the right to get your e-brochure now!